Survey Monkey has created an interactive electoral map where users can check the results of the company’s ongoing election tracking survey. The company is updating the electoral map regularly in the final days of the election. Users can select different categories to see how the map changes—women, men, millennials, college versus no college, married versus unmarried women (above, click to enlarge). 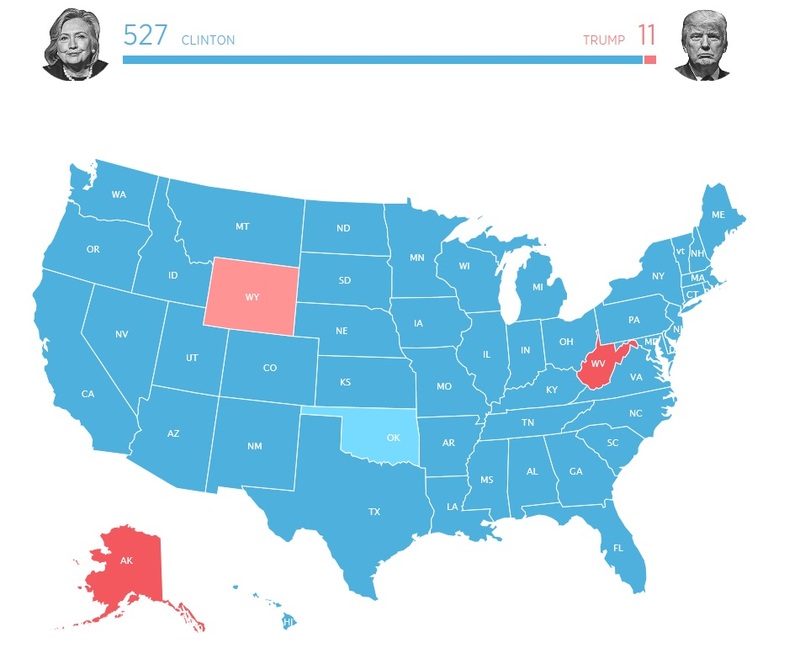 Users can also click on individual states, changing the state color from blue to red or red to blue, to predict the outcome of the election and create a custom electoral map.